Getting stuck in your car during an emergency situation is no fun at all. 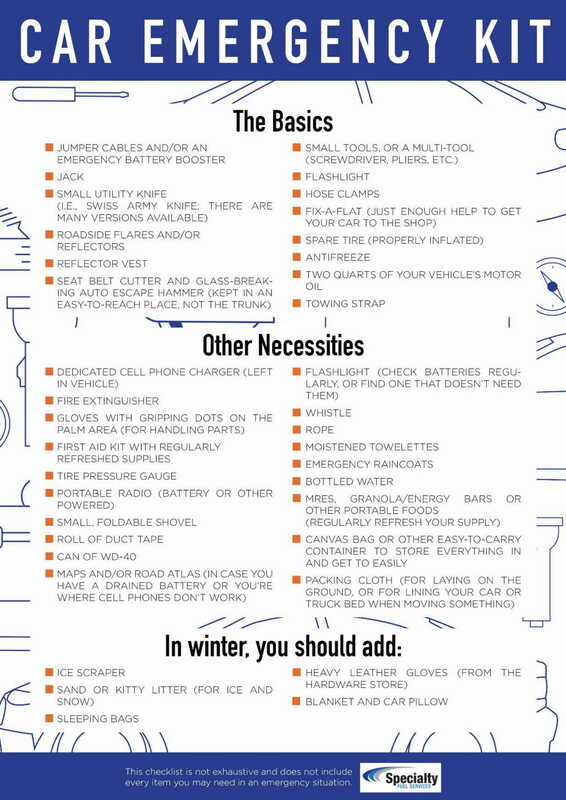 To make sure you and whoever is stuck in the car with you can endure the situation it’s important to consider what kit you should keep in your car should the worst happen. Many people carry basic equipment with them such as a blanket or spare tire, but as we see a rise in natural disasters such as unexpected weather events it’s wise to take extra precautions. If you aren’t particularly technical when it comes to your car you might not know the best equipment to take to make sure you can get it back up and running if needed, what you might need to attract attention from emergency services, or basic equipment to wait an event out in your car, while staying warm and safe.